A demo of Milestone's new WRC rally game is available to Xbox Live Gold subscribers now. Silver subscribers and PC owners must wait until Friday, and PS3 owners until next Wednesday. The demo - skinny at 571MB - offers up the dusty landscape of Jordan and gravelly roads of Finland. You'll race against the clock in a single stage mode. Well-known racers such as Citroen's Sebastian Loeb and BP Ford's Mikko Hirvonen will be playable. The officially licensed WRC 2010 hopes to bring authentic simulation back to rally racing games. Eurogamer played the game in July and concluded that fans have "every right to be optimistic". 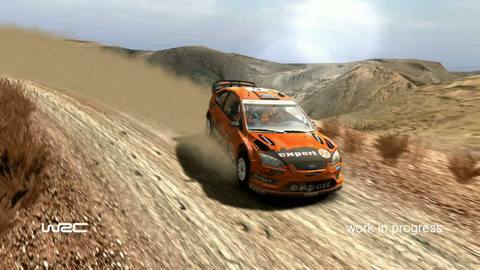 WRC 2010 will be released for PC, PS3 and Xbox 360 on 8th October. Find out how good the game rally is.